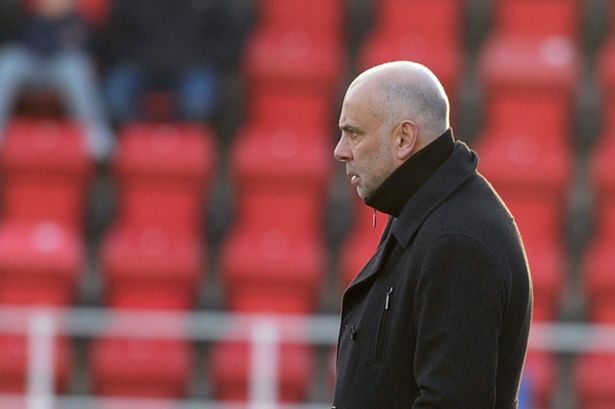 Garry Hill labelled the performances of his Woking players as ‘embarrassing and gutless’ after watching his side lose 4-0 at local rivals Aldershot Town. Former Woking striker Scott Rendell, who scored 41 goals in 76 appearances for the Cards, netted a hat-trick on his first game against his former employers with Shamir Fenelon netting the other. Hill blasted his side’s performance and told Radio Woking Sport: “It’s a very disappointing day and we’ve let the football club down in a big big way, there’s no excuses. 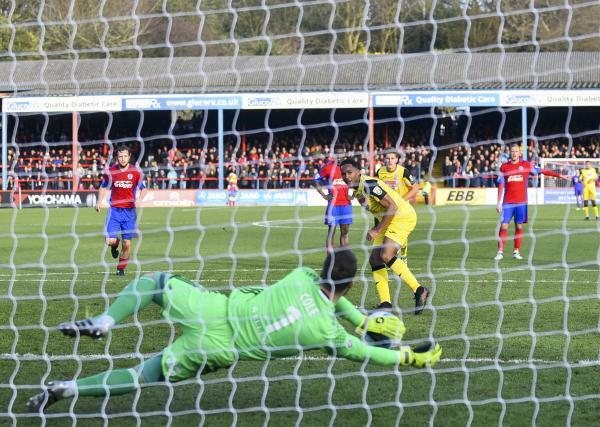 Aldershot started the brighter of the two sides, with Rendell latching onto a mistake from Brandon Hall to put the hosts ahead in the eighth minute before Fenelon doubled the lead two minutes later. Rendell then added another two goals to put the game beyond doubt before the half-time whistle had even blown. Hill was critical of his goalkeeper, and continued his onslaught on his players, who suffered a nightmare before after Christmas, whilst the Shots enjoyed a Christmas miracle. He said: “Aldershot may as well have had another Christmas dinner because we didn’t attack them and we didn’t get anywhere near them. “How can players walk towards the fans and think to themselves that the supporters are pleased with their performance? I know they are ashamed and they should be. “We’ve asked our supporters to travel and pay their money and they see a team go out on the park and roll over in the first 20 minutes. 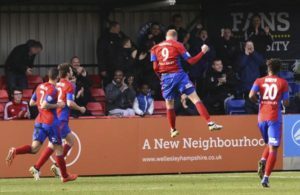 Hill has added to his squad in recent weeks, with Kane Ferdinand signing from East Thurrock United whilst full-back Frazer Shaw joined the club last month. Despite this, Hill has hinted that he is not afraid to make changes to improve the quality of their squad and will get some of his players off the wage bill. “If players can’t concentrate or take the responsibility of doing the basics properly you have to face the consequences. “We’ve got players who are low of confidence and we’ve got players who aren’t good enough or aren’t consistent enough and some players have got to go. “We have to release players and get players out to get players in and there is going to be a change. With that type of performance, we are only going one way and I don’t say that with any happiness,” he said. 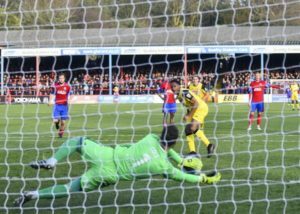 Things went from bad to worse for the visitors, as Anthony Edgar’s penalty was saved by former Woking goalkeeper Jake Cole, who spent two seasons with the Cards before joining the Shots in the summer. Hill questioned his side’s committment and their loyalty to both the football club and its supporters. “The club work hard but today’s a day I’d like to see a contribution from players – It’d be interesting to see how many will put money in the pot towards the supporters travelling here,” he bemoaned. 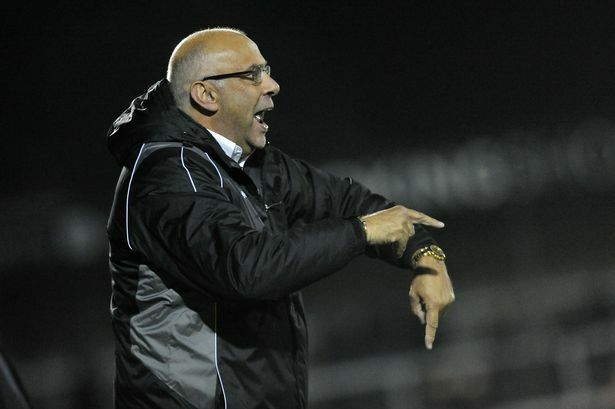 The Woking manager, who is the third longest serving manager in non-league football, was very reflective about his time at the club so far which raised eyebrows and concerns about his future. He added: “We’ve had 5 or 6 wonderful years and we’ve found it tough but this is a year where we’ve got to battle ever so hard to stay outside that bottom four. The Woking boss admitted that he does not know what to expect in the reverse fixture at the Laithwaite’s Community Stadium on New Year’s Day but has demanded an improvement. Full coverage of the game will be on Radio Woking with full match commentary with Mark Francis from 1pm on DAB and on www.radiowoking.co.uk.